Lighting a Candle is a documentary update on the work of the Addis Ababa Fistula Hospital and the Hamlin College of Midwives. 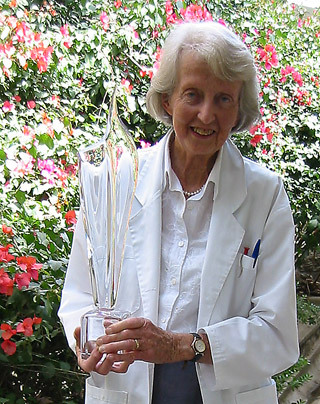 It also honours the work of Dr Catherine Hamlin and her late husband, Dr Reg Hamlin, who first started working amongst the most destitute women of Ethiopia more than 50 years ago. The film has been developed by the Hamlin Fistula Relief and Aid Fund in conjunction with AusAID. A Walk to Beautiful, an award winning documentary produced by Engel Entertainment, tells the stories of five Ethiopian women who suffer from devastating childbirth injuries and embark on a journey to reclaim their lost dignity. Rejected by their husbands and ostracized by their communities, these women are left to spend the rest of their lives in loneliness and shame. They make the choice to take the long and arduous journey to the Addis Ababa Fistula Hospital in search of a cure and a new life. Across the developing world, millions of women are condemned to live a shadowy, half-existence because of Obstetric Fistula - a debilitating medical condition borne out of poverty that has largely disappeared in the West. Our first three Birthrights films are based in and around the Addis Ababa Fistula Hospital in Ethiopia, which treats around 1,300 women a year.